Dr Ida Kubiszewski is a Senior Lecturer at Crawford School of Public Policy at The Australian National University. Prior to this she was an Assistant Research Professor and Fellow at the Institute for Sustainable Solutions, at Portland State University. She is the managing editor of magazine/journal hybrid called Solutions and the managing editor and a co-editor-in-chief (with Robert Costanza and Karin Limburg) of an academic journal called Reviews in Ecological Economics. She is also a co-founder and former-managing editor of the Encyclopedia of Earth, an electronic reference about the Earth, its natural environments, and their interaction with society. Dr Kubiszewski was a delegate at the 19th Conference of Parties (COP19), negotiating for the country of the Dominican Republic on climate change, following adaptation and loss & damage. 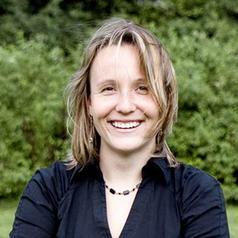 Dr Kubiszewski is the author or co-author of over a dozen scientific papers. She is a Fellow at the National Council for Science and the Environment and Associate Research Fellow at the Institut Veblen pour les réformes économiques (Veblen Institute for Economic Reforms) in Paris, France. She sits on the steering committees, editorial boards, or advisory boards of various organisations including the Ecosystem Service Partnership, Ecosystem Services the journal, and Environmental Information Coalition.